KENNEDY SPACE CENTER (FL), April 11, 2019 – The International Space Station (ISS) U.S. National Laboratory is managing 13 separate payloads launching to the orbiting laboratory to advance basic and applied research in several disciplines. Building on basic science knowledge gained in previous ISS National Lab-sponsored missions, new applied science projects will focus on materials and physical sciences, in-orbit manufacturing, drug development, and small satellite deployment. Each project managed by the ISS National Lab seeks to leverage the unique environment of the space station to benefit life on Earth. 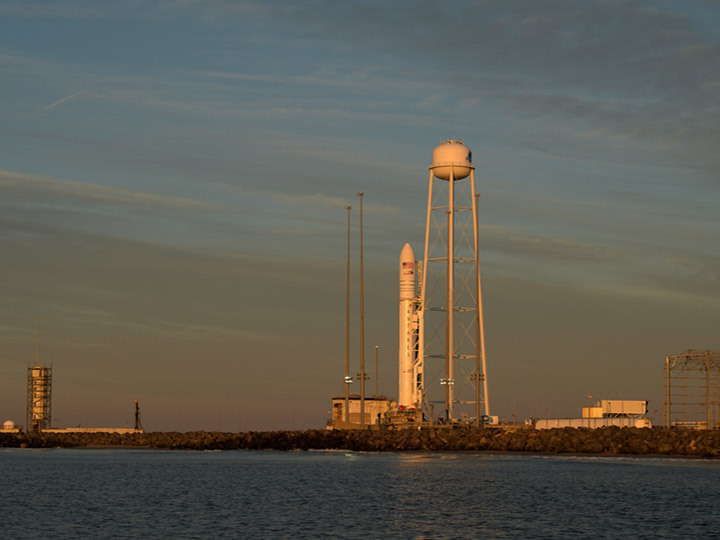 Northrop Grumman’s 11th commercial resupply services mission is slated to launch no earlier than April 17th at 4:46 p.m. EDT from Wallops Island Flight Facility in Virginia. Aphios Corporation will study nanoparticle behavior in microgravity to improve the manufacturing process of targeted nanoparticles that encapsulate drugs in cell-like bubbles called nanosomes. Improved drug delivery vehicles like nanosomes could be used to treat Alzheimer’s and other diseases. Nanoparticles created in microgravity are much smaller than those produced on Earth and may provide a unique technique for drug delivery that could reduce the required dose per treatment and increase the potency of a therapeutic. Alzheimer’s affects more than 4.5 million Americans and more than 10 million people worldwide. The discovery of novel agents that affect disease progression may transform the treatment of disorders like Alzheimer’s beyond current therapies that focus solely on treating symptoms. A variety of small satellites will launch from the space station as part of this mission, including several small satellites hosting student Earth observation projects. One small satellite being deployed, called EntrySat, seeks to gather data on properties such as temperature and pressure as it re-enters Earth’s atmosphere in a trajectory similar to that of small orbital objects or space debris. The presence of orbital collision debris coupled with the process of satellite orbital decay represents potential threats to both space and ground safety. During the re-entry phase, EntrySat will collect data on the outside environment (temperature, heat flux, acceleration, drag force, and pressure) and its integrity (attitude, position, and rotation speed). A successful demonstration of EntrySat could help increase the accuracy of trajectory predictions for known space debris and other small orbital objects. To learn more about all investigations sponsored by the ISS National Lab on this mission, please visit: Northrup Grumman CRS-11 Payload Overview . To follow NASA’s launch coverage of this commercial resupply services mission to the space station, go to: www.nasa.gov/station. In 2005, Congress designated the U.S. portion of the ISS as the nation’s newest national laboratory to optimize its use for improving quality of life on Earth, promoting collaboration among diverse users, and advancing science, technology, engineering, and mathematics (STEM) education. The ISS U.S. National Laboratory manages a portfolio of both basic and applied research projects to support the transition of low Earth orbit to a robust space economy. A fundamental component of the ISS National Lab mission is to make the unique properties of the low Earth orbit environment available for use to non-NASA U.S. government agencies, academic institutions, and the private sector. Through management of a comprehensive and diverse research portfolio, the ISS National Lab is driving innovative science that can benefit life on Earth and demonstrate the value of space-based research to the American public.